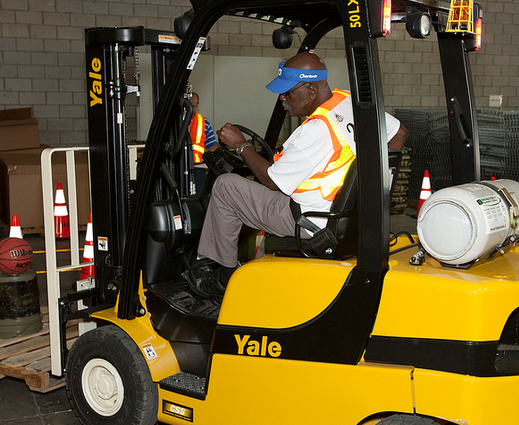 Safety Tips for Operating a Forklift: Part II | Hi-Lo Industrial Trucks Company, Inc.
We’ve already discussed a few safety tips for operating a forklift, such as never overload and avoid speed, but here are three more useful tips. Avoid handling one of these powerful machines while under the influence of medication or a drug. These may impair your driving skills, so drive while sober. Loose clothing can get caught up in the machine, so avoid loose-fitting clothes. Rather, wear fitted clothes accompanied with safety shoes, a hard hat and hi-visibility jacket. Before jumping behind the wheel, it’s advisable to perform a routine check. Ensure the brakes, steering, tires, controls and warning devices are properly working. Remember, it’s better to be safe than sorry. If you want to buy a forklift or even rent one, visit Hi Lo Industrial Trucks Co. today. This entry was posted in Blogs and tagged buy a forklift. Bookmark the permalink.